Is Twitter dying? In a word, no. The Atlantic says Twitter is dying. Here’s my theory: LaFrance and Meyer don’t get it. They want Twitter to be some all-encompassing social nirvana where relationships, networks, and communities are sown, grown, and harvested, nourishing all who use it. Twitter does those things, but only for those who understand that all social networks are not created equal. Twitter is not Facebook or LinkedIn or YouTube. It is its own beast, one that rewards value, generosity, thought leadership and, above all, brevity. It also punishes greed and narcissism. LaFrance and Meyer seem to want Twitter to entertain and inform them. They don’t understand that, in order for that to happen, they must first entertain and inform. It’s a social filter. “Thinking about information overload isn’t accurately describing the problem,” New York University professor Clay Shirky once said. “Thinking about filter failure is.” Twitter and other social platforms are the perfect social filters. If we follow the right people, they’ll deliver the information that’s valuable to us — and let us ignore the rest of the crap that’s floating around out there. It’s a broadcasting tool. 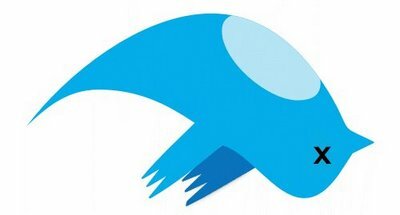 Thanks to Twitter, we can add more value to more people’s lives, and we can do it faster than ever. Doing so builds our brands, turns us into thought leaders, and makes the world smarter in the process. It’s a listening agent. People are out there talking about us right now. We’ve never had an opportunity to hear and respond to those conversations — until now. Twitter lets us hear what others are saying about us. It’s a networker. We can reach more people than ever before, thanks to tools like Twitter. We can’t expect to know them all, but we have the opportunity to add value to their lives — and to learn from them in return. What’s that worth? It’s a teacher. It’s been said that the most important skill going forward is the ability to learn new skills. If we follow the right people on Twitter, we’ll learn the right things — things that will add value to our personal and professional lives. In an age of constant change and chaos, nothing is more important. Used in these ways, Twitter more alive — more important — than ever. Apparently, critics like LaFrance and Meyer aren’t using it in these ways. Don’t blame Twitter for that.